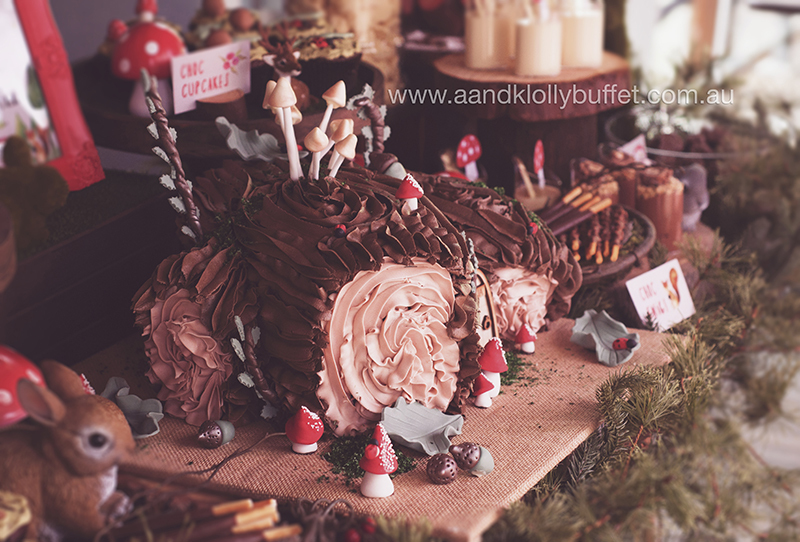 Amelia’s Woodland themed birthday dessert table. Styling, personalised artwork, prints, props & photography by A&K Lolly Buffet. Friends of the Forest have gathered to celebrate Amelia’s 10th Birthday. 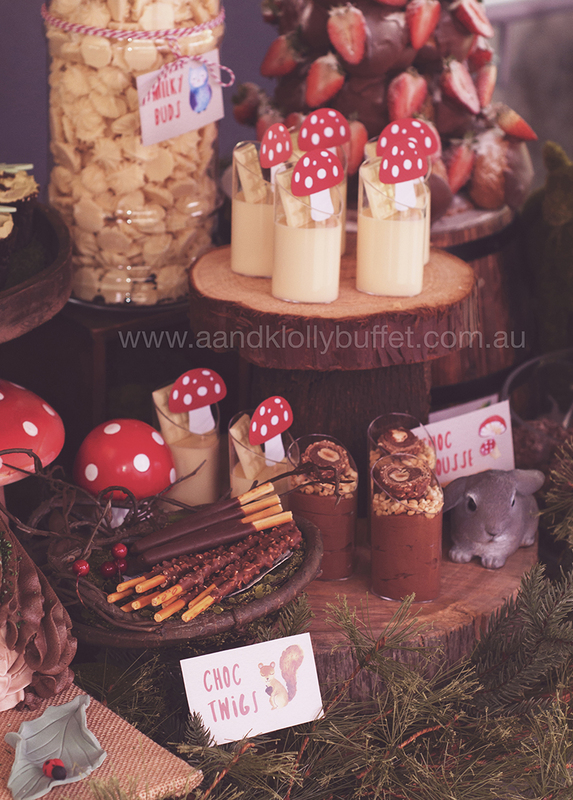 It was our pleasure to create an enchanting dessert table that will surely make Amelia’s imagination run wild – with cute forest creatures, cleverly themed desserts, and personalised artwork for the birthday girl. Many thanks to Amelia’s mum, Maria, for choosing A&K Lolly Buffet for this adventure filled day. Happy Birthday Amelia! 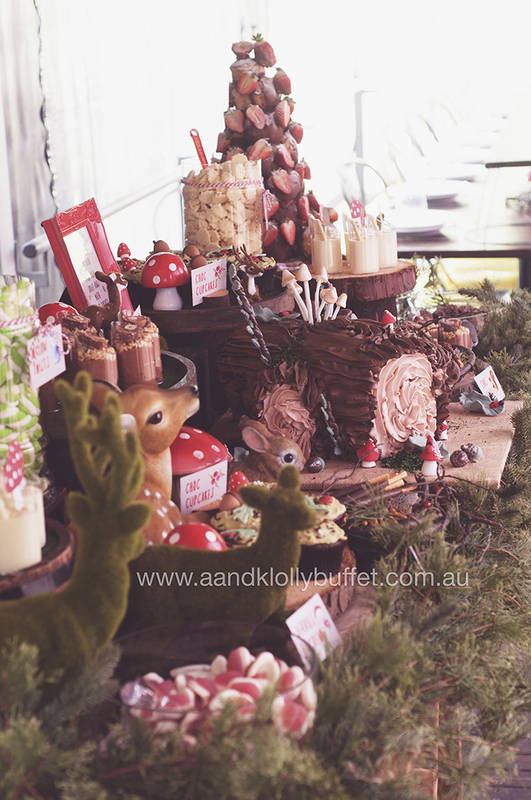 Dessert table styling, personalised artwork, prints, props & photography by A&K Lolly Buffet. Enter Amelia’s enchanting woodland forest. Cake by Buttercreme Lane. Photography by A&K Lolly Buffet. Woodland themed dessert shots by The Sweet Life. Styling & photography by A&K Lolly Buffet. Personalised framed table sign for Amelia’s Woodland themed birthday party. Artwork, styling & photography by A&K Lolly Buffet. 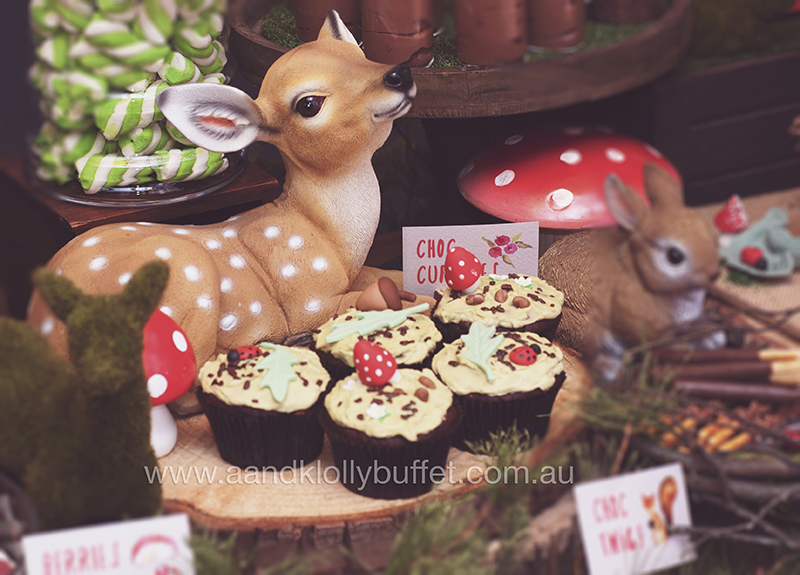 Woodland Cupcakes by Kake Krumbs. Styling & photography by A&K Lolly Buffet. Chocolate twigs served in ‘bird’s nest’ bowl. Styling, artwork, props & photography by A&K Lolly Buffet. Coconut roughs served in glass bowl. Styling, artwork, props & photography by A&K Lolly Buffet. Chocolate and strawberry profiterole. Photography by A&K Lolly Buffet. Berries n’ cream served in glass bowl. Styling, artwork, props & photography by A&K Lolly Buffet. Personalised choc bars for Amelia’s Woodland themed birthday party. Artwork, styling & photography by A&K Lolly Buffet. Personalised kraft lolly bags for Amelia’s Woodland themed birthday party. Artwork, styling & photography by A&K Lolly Buffet. Personalised framed Welcome sign for Amelia’s Woodland themed birthday party. Artwork, styling & photography by A&K Lolly Buffet. Contact us for your next event, or view our Event Gallery for more samples of our party styling, personalised lolly buffet and dessert table arrangements.